I remember getting the phone call from our credit card company after a particularly full day of shopping. They were calling to verify that we had actually made all those charges. I made a joke with the customer service rep about it and admitted that we had indeed put over $800 on our credit card in a single day. Our card had not been stolen. We had been Christmas shopping and in an effort to make things easier on ourselves, we spent all day at the mall and finished buying every single gift on our list. It was easy to get the shopping done in one day. What wasn’t easy was paying that big credit card bill in January. I made a pledge the day that credit card bill came to avoid Christmas credit card debt. There was no way I wanted to go through that struggle to pay it off again. The best way to avoid getting in over your head with holiday spending is to work on your own attitude when it comes to the holidays. Ultimately, it’s the thought that counts, and if you can remember the real reason for the season, it will help you stick to your goal of a debt-free holiday. Stop spending money like you’re trying to prove something. I’ve done this and I know many of you have done it, too. We buy lavishly expensive gifts we can’t afford to show someone how much they mean to us. We overspend on the kids because we don’t want them to feel deprived. We buy pricey gifts for our friends because we don’t want to look cheap. We buy gifts for someone because they bought us a gift. We buy gifts for people because we think we’re expected to buy them. We try to even things out. We over-gift, over-tip, over-donate, usually because we’re trying to keep up appearances. All that money spent doesn’t mean we love someone more. And if we were to spend less, it doesn’t mean we love that person less. We can show love without showing our credit cards. We can spend time with our loved ones. We can share experiences. If you truly love the people you are shopping for, then you don’t need to prove anything to them. And you don’t need them to prove anything to you. 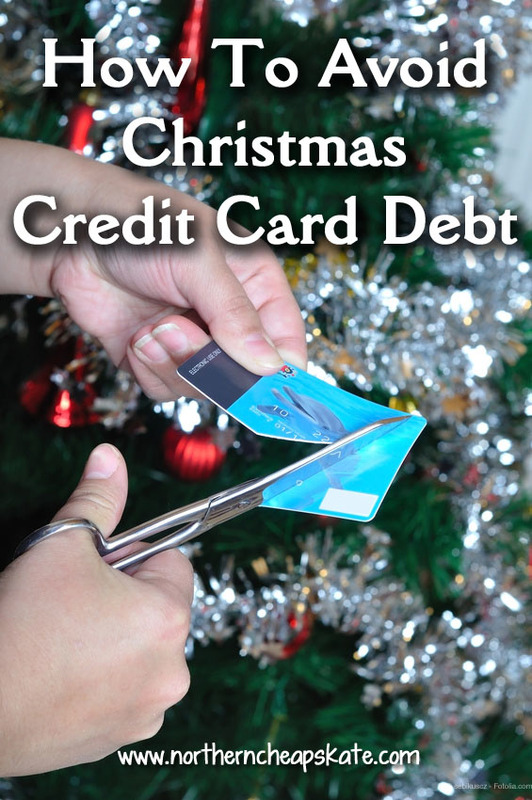 If your goal is to keep out of credit card debt during the holidays, start by simplifying. Scale back on your shopping list. This could mean that you cull some folks from the list. (Do your adult siblings really need gifts?) It could mean that you give a family gift instead of 5 individual gifts. It could mean that you don’t feel the pressure to reciprocate every time someone gives you a gift. Another way to simplify is to stick with a theme when it comes to gifts. For example, you might buy everyone on your list a book or a calendar. You may choose to make homemade treats as a gift. Sticking to a theme can help you save by allowing you to make bulk purchases. You can simplify the holiday cards by sending folks postcards or e-mails instead of fancy photo cards. You can make the family holiday dinner a potluck affair or just appetizers and desserts instead of an expensive, 7-course meal. Talk with your family and loved ones about your desire to stay out of debt during the holidays. I bet more than one person will be relieved to hear your plans and will join you in making the holiday season more affordable. Think about the best gifts you have received. Chances are they weren’t gift cards with big balances. They were small, thoughtful, meaningful gifts. Give gifts like that. Those are the kinds of gifts that are the most fun to give. Decide how much you want to spend and then make a plan to stick to it. Make sure your holiday budget includes every aspect of spending – from gifts to postage to clothing and meals – so that there are no surprises. Just putting the numbers on paper can help you realize areas that you need to trim. When you make a shopping list, you make a plan for exactly how you are going to spend your money. You’ll be much more resistant to impulse buys and overspending if you shop with a list and a budget. Once you know how much you need, start saving. Tuck away a little bit each week in a savings account for the holidays. Find some extra cash for the holidays by selling some stuff, taking online surveys, or doing Swagbucks. Every little bit of extra cash you can scrape together now is money you won’t owe come January. Shop with a list and shop the sales. One of the best ways to save is to shop the sales year-round. Whenever you find a great deal on a gift for a loved one, purchase it and tuck it away until the holidays. Shopping year-round saves money and time. You’ll feel less stress because you’ll get your shopping done early and you’ll feel less stress because you spent less. Shop online using coupon codes, use coupons to pay for your holiday meal costs, earn cash back with Ebates, and if you’re worried about sticking to your budget, you can purchase gift cards at a savings of 10 percent or more through Raise. Don’t be afraid to give secondhand gifts. This is the ultimate environmentally friendly-approach to the holidays. Learn the fine art of regifting or shop thrift shops, antique shops and estate sales for the perfect low-cost gift. You’re giving new life to old things, and you’ll save money, too. Many of the big department stores offer layaway programs, which means you can buy a gift and then pay for it over time. You pick up the gift after it’s paid for. Most stores do not charge interest or fees for doing this, which makes it a better option than using your credit card. Just make sure you understand the terms of the agreement so that it doesn’t end up costing you more than you thought. Focus on experiences instead of stuff. Instead of buying a bunch of gifts, consider planning a family outing instead. Find free or low-cost family-friendly activities in your community and make a plan to do those. Go on a tour of the holiday lighting displays in your community. Look on Living Social and Groupon for savings on entertainment. A sleigh ride, an ice skating party, or family game night can be much more affordable and create more memories than racking up credit card debt. Keep your credit cards at home. You can’t rack up credit card debt if you don’t carry the cards with you when you shop. Stick to cash and gift cards instead. If you must shop online, use your credit card (it offers much more consumer protections than a debit or pre-paid gift card), but don’t save your information on the store’s website. When it’s a hassle to shop, you tend to save more. Focus on the emotions you want to feel, the memories you want to create, and the people who matter most to you this holiday season. When you do, you will find that there is no amount of debt worth giving up those things. We take our expected holiday budget, divide it by twelve, and sock that away every month throughout the year. Then, there’s never a question of whether we have enough to pay for the gifts that we would like to buy, and we never go into debt when the Christmas bills arrive. It may be too late for that for 2015, but 2016 is right around the corner, and there’s no better time!